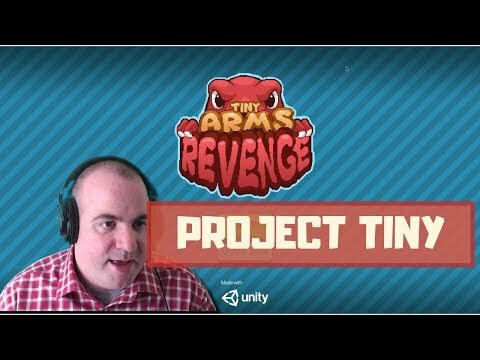 Unity just released a preview of Project Tiny! Unity Tiny Mode is a new way to build HTML5 / WebGL games that are ready for use with the mobile web. BTW, if you came here from the Youtube video and are looking for the links, please scroll to the bottom. A little history: Unity released the WebGL target back in 2015. It has been chugging along, but the giant, throbbing Achilles heel of Unity WebGL is that mobile web performance is pretty poor, and it’s not “technically” even supported. It does work on mobile, but often crashes, and usually games run at 15fps max on my iPhone 8. So they went back to the drawing board and developed Project Tiny. Without further ado, here is my quick “getting started” video about how to compile, run and debug Tiny Mode. At the moment, the site that I run, SIMMER.io is a place for Unity developers to deploy their WebGL exports, demos, and assets. Today, you can’t upload a Unity “Tiny” game, but this is my #1 priority for the site, since I want mobile users to stick around and enjoy the fun. If you have built anything cool with Project Tiny, please reach out (rocco@simmer.io or @simmer_io on Twitter), and we can get the project on the site manually. Automated uploads are coming soon! I had tried out WordPress years ago (think mid 2000’s), and thought it was clunky and somewhat difficult to use. Therefore when starting the blog for SIMMER, I decided I wanted to try something different. After some research I found a blogging tool called Ghost. I really liked that it supported markdown and HTML directly, and was also a fan of the server running on node.js vs instead of PHP. I’m not one to get in huge wars about programming languages, but but in my experience PHP is slow and difficult to develop and debug. Node.js is the future. Additionally, a 15 year old codebase like WordPress is bound to be a little rough and inefficient. So, I tried out Ghost on their official website — where they provide the actual hosting service. The price was a little steep 29/mo but I wasn’t too deterred because having a fully managed service (upgrades, support, etc) was worth it to me. But I ran into a pretty big snag with their trial–the biggest problem is that, with a custom domain (blog.simmer.io) I wanted to use HTTPS. Their guide suggested that I put my entire site behind a cloudflare CDN. I tried this but it did damage to my other subdomains–so I had to back that out. I contacted Ghost support and they said there was no way to do SSL without Cloudflare. OK, so there was no way to do SSL with their managed service. But, since Ghost is open source, you can self host it. But I wanted at least a semi-prebuilt solution. So I headed over to Digitalocean which offers a preset installation of Ghost on one of their “droplet” servers. This process wasn’t too bad. And eventually I was able to set up all my DNS servers to point to the correct server. A few months later, I went to upgrade Ghost, and this was a far more difficult process. I managed to get my server hosed pretty bad and I had to call in the big guns (a technical director that I used to work with) to get everything back. I was almost certain everything had been deleted. It ended up being a permissions issue, but it was pretty infuriating and killed a day. So I had been using Ghost for 8-10 months, somewhat happily. I liked editing articles in Markdown format, but one nitpick was that, for workflow reasons, I like to take screenshots to the copy buffer, and paste images directly into the article that I’m writing. Additionally, while I thought that I liked writing in Markdown, I did find that it sometimes ruined my flow of thinking when I was trying to remember a command rather than simply typing out a thought. At that point, the admin panel reminded me that I needed to update again. Ugh, I didn’t want to go through the hassle and pain of the upgrade process. Additionally, I had been watching a great course on online marketing that highly recommended using WordPress as your CMS / blogging tool of choice. The reasoning was that, there are thousands and thousands of plugins for WordPress built specifically for marketers. And literally 31% of all websites–all websites on the internet run WordPress. So after a little bit of comparison I decided to use siteground. I like that they automatically update WordPress for you and that they support let’s encrypt SSL. So far the going has been a little bit rocky with the migration. My major challenge (again) is getting SSL up and running properly. Siteground’s chat support has been pretty solid, but I still don’t have this 100% figured out. Anyway, so far I’m enjoying using WordPress, and I’m excited about the additional plugins and flexibility that it will offer me over Ghost. Global Game Jame is coming up, January 26 – January 28, 2018! GGJ is a game jam that occurs at sites all over the world, where developers just like you get together to build a game in 48 hours. It’s an awesome concept, and it occurs at nearly 500 sites across the world. Last year I noticed that so many game developers were building cool stuff, but not sharing their work, so I built SIMMER, a site that makes sharing WebGL games as SIMPLE as possible. It’s easy! Click the upload now button below to try it! Technically your site is great, you have a big competitive advantage compared with Wooglie and Kongregate as uploading builds is extremely easy compared with the other two. I think this platform is going to be awesome man, it’s a lot more convenient for small things than the other platforms out there, I will definitely be avidly using it! Just Do It, Get Noticed! The biggest mistake you can make as a game developer is to not share your work early and often :-). Game development has become very, ehem, crowded. One great way to start building an audience is to get your work out as soon as possible, and SIMMER can help you share your GGJ game directly to the web (with zero friction!). We also help with the discovery aspect–once a game is on our site people are likely to find it via our "More Games" panel on the right side. I personally got my start in the game development industry at age 14 when I shared a game called Arcade Superpack to the AOL Games channel. (Remember AOL?). My game got over 50,000 downloads and it jumpstarted my games career, where I worked on games in popular franchises such as The Sims, Rock Band, and Mortal Kombat. The simple truth is, the more you put yourself out there, the better chance you have of getting noticed. Without further ado, I invite you to upload your Global Game Jam game today! Just a quick site update! We’re adding externally hosted "IO Games" to our lineup here on SIMMER–starting today! IO games get their name from the IO domain name. Popular IO games include Slither.io, Frogar.io, and Agar.io. IO Games are generally multiplayer, and many of the games have a common theme of "growing" or scaling your character or territory. 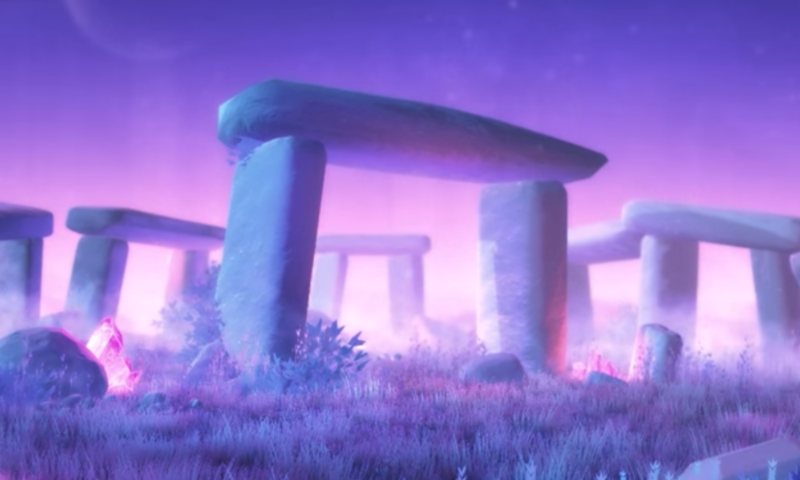 That means that in addition to being a free hosting and discovery service for Unity WebGL games, SIMMER is also becoming a portal for games hosted elsewhere. Soon, anyone will be able to share their externally-hosted games on SIMMER. I’ve built out most of the system for this, and I’m using it internally for the next few days to iron out any kinks. If you’re interested, I need some help with testing out the feature. Shoot me an email at rocco@simmer.io if you have an IO game to list, or want to help build the index of existing IO games. Just in case I forget to update this article when I roll out the feature to everyone, the link to be able to share games via URL will be located at https://simmer.io/upload. Embedding a WebGL game onto your website has never been simpler! If you’ve ever embedded a YouTube video, you can do it. You only need basic HTML skills. For example, here’s an game embedded directly on our blog. Click the play button to try it! Check out this quick tutorial about how to build your game for the web if you don’t already know how to do it. For this example, let’s assume that we’ve named our build "WebGLBuild". Go to https://simmer.io/upload and sign up for a free account if you don’t already have one. Drag your "WebGLBuild" folder onto the drop area. You don’t need to zip the folder or change anything. Once you upload and save, fill out some simple information about the build, and select a screenshot to continue. 3) Embed the game on your website. Your game is now on the web! The final step is to embed it on your page. Then copy the code to your clipboard. Paste the <iframe... embed code into your site’s HTML code. You can also modify width and height in the style attribute if you want your game to display at a different size. Pro tip: If you want the game to autoplay without requiring a click, add the following code to the url attribute of the iframe &autoplay=true. Join dozens of other early adopters using SIMMER to embed games on their own website. Don’t delay, embed today! Still working on your game? Stay tuned here.